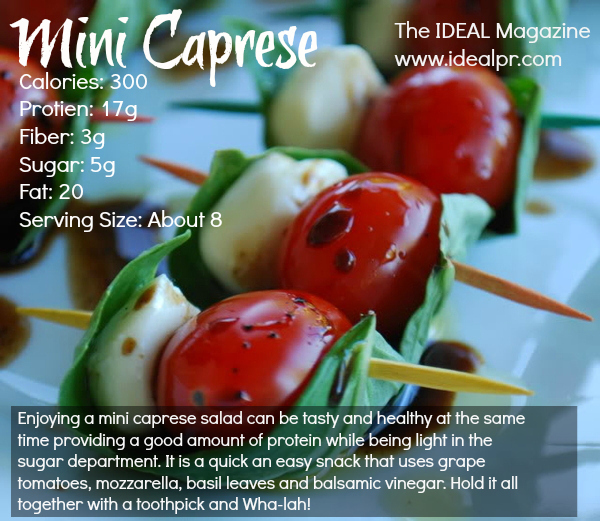 Enjoying a mini caprese salad can be tasty and healthy at the same time providing a good amount of protein while being light in the sugar department. It is a quick an easy snack that uses grape tomatoes, mozzarella, basil leaves and balsamic vinegar. Hold it all together with a toothpick and Wha-lah! It is perfect to enjoy as a snack or serve while entertaining inside or out. A mini caprese salad is quick, yet elegant food.